If you are an Indian holding an advanced degree and are seeking a USA green card to live and work in the US permanently, you may have to wait for no less than 150 years. Yes, that’s what the projections by a US-based think tank indicate. According to a new calculation carried out by Cato Institute, an American think tank with headquarters in Washington D.C., Indians having advanced degrees may have to endure a waiting period of 150 years before their green card aspirations become a reality. This calculation is based on the number of USA green card applicants in different categories who were granted green cards in 2017. These numbers were made public by the US Citizenship and Immigration Services (USCIS). Source: Cato At Liberty, U.S. Citizenship and Immigration Services; Annual Visas from U.S. Department of State; *As of April 20, 2018 with Priority Date On or After May 2018 Department of State Visa Bulletin; Note: Spouses & children are based on USCIS’s estimate of the ratio of primary to dependent applicants. The report by Cate Institute specifies that as of April 20, 2018, the number of Indian immigrants along with their spouses and minor children waiting for green cards stood at 632,219. Out of these, the EB-1 immigrants or those immigrants with highest skills or extraordinary abilities will have the shortest wait period. EB refers to employment based. These extraordinary Indian immigrants can expect to receive their green cards after a wait of just six years, as per the report by Cato Institute. The numbers released by USCIS reveal that 34,824 Indians are waiting to receive green cards under the EB-1 category. When their spouses and children are considered, they add up another 48,754 applicants. So, the total number of Indian applicants under EB-1 category reaches 83,578. In terms of the waiting period for green cards, the next ones are the EB-3 immigrants. The EB-3 immigrants are those who possess bachelor’s degrees and their wait period can extend to about 17 years. Cato Institute’s report states that 54,892 Indian immigrants were waiting under this category. Considering the spouses and children, the number increases by 60,381. This means a total of 1,15,273 Indians are waiting for a green card under the EB-3 category. The longest wait period is for EB-2 immigrants who possess advanced degrees. The EB-2 category has the highest backlog. In its report, Cato Institute says out that at the present rate of issuing of visas, these immigrants will have to wait for 151 years before they get their green card. Needless to say, if the law doesn’t change, there’s no way they can get their green card in their lifetime. As per the USCIS, the number of primary Indian immigrants who have applied for green card under the EB-2 category stood at 2,16,684. Now add to that 2,16,684 spouses and children and the final figure jumps up to a huge number: 4,33,368 applicants. Cato Institute states that the main reason behind this is the existing laws that impose a limit of seven percent per country. 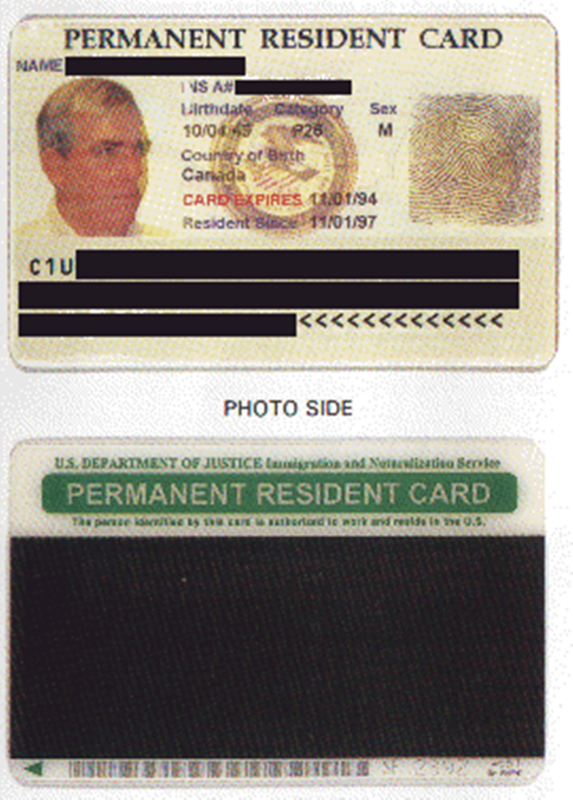 USA green card – What do the present figures say? The total number of primary Indian applicants in the queue for their green cards is 306,400. Now club the applications of their spouses and children, who number at 325,819. This takes the total number of Indians waiting for their green cards to a whopping 632,219. According to the USCIS statistics, the number of Indians who were issued green cards in 2017 was 22,602. Out of these, 13,082 were from the EB-1 category, 6,641 were from the Eb-3 category, and just 2,879 were from the EB-2 category. Cato Institute has revealed in its report that green card allocation does not depend on the backlog. That is why the EB-2 category got just 13 percent of the total green cards that were allotted to Indian immigrants in 2017 even though the backlog in this category was 69 percent. First, every category is allotted at least 40,040 green cards. That is why allocation adjustment between categories does not take place even if one category has more demand than the others. Second, under the present rules and regulations, EB-2 is bound by per-country limit that stands at 7 percent. So, Indian immigrants can receive only 7 percent of the green cards that are issued under this category. What is the impact of the 7 percent per-country limit? According to the Cato Institute, the 7 percent per-country limit for employment-based green cards only comes into application in full measure when the category is filled up. This means if some green cards are left after allocation to all, Indian immigrants can get more than their allotted 7 percent limit. Due to this, Indian immigrants applying under the EB-3 category received as much as 18 percent of the green cards allotted in that category in 2017. In reference to this inconsistency in the per-country limit application, Cato Institute states that if the per-country limits do not fully apply for the EB-2 category in some of the future years, Indian immigrants can receive their green cards in less than a century’s time. For instance, if Indian immigrants applying under the EB-2 category receive the same number of green cards as EB-3 immigrants did in 2017, their wait period will be drastically reduced. They will have to wait for only 65 years instead of 151 years. However, if the per-country limits are fully utilized for the EB-3 category after 2018, the waiting period for Indian immigrants applying under this category can increase from 17 years to more than 40 years. Cato Institute emphasizes that the absurd green card waiting period for Indian immigrants can be reduced by ending such discrimination in the legal immigration system. It further suggests that the number of green cards issued should also be increased.